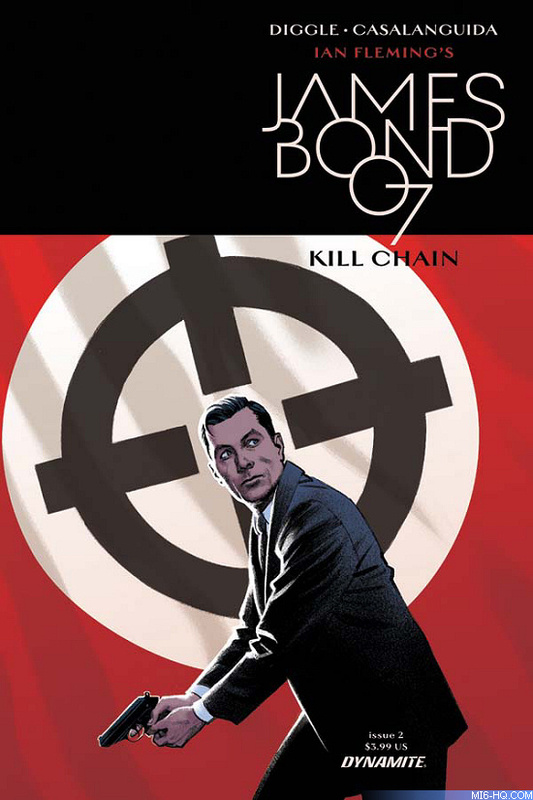 Andy Diggle - the British writer who redefined Green Arrow at DC Comics, thrilled readers with an impressive Daredevil run at Marvel and scripted the critically acclaimed James Bond: Hammerhead, has reteamed with Hammerhead artist Luca Casalanguida to bring fans the next chapter in the James Bond series, entitled Kill Chain. The latest tale of international intrigue and espionage launched today (20th July 2017) and will feature six issues that will run through the end of 2017. 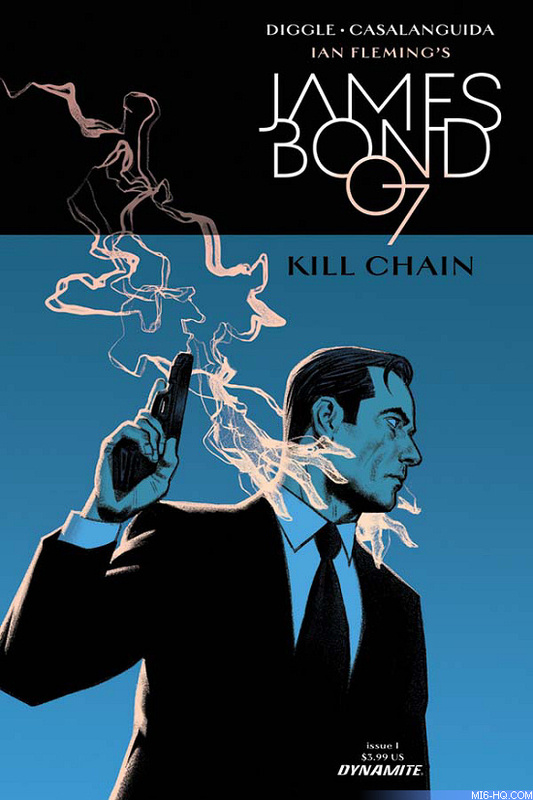 James Bond and the mysterious Chantal Chevalier go head-to-head at an elite auction house that hides a deadly secret. At stake is Bond's life - and the future of NATO. The Russian "active measures" unit SMERSH will stop at nothing to win this deadly game - but is 007 a player, or a pawn? 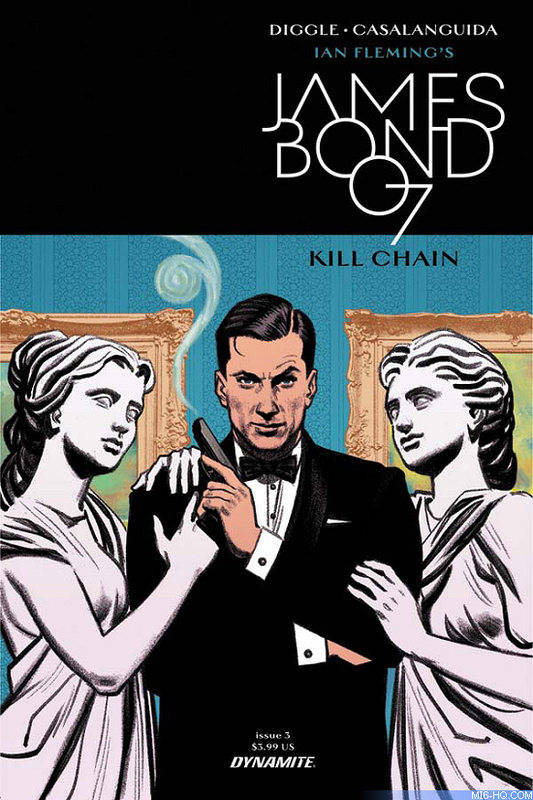 Reviews How does the first adventure in the new series of 007 titles by Dynamite Comics fit in the James Bond canon?